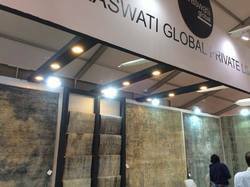 Pioneers in the industry, we offer 3d booth fabrication services, exhibition 3d booth contractors and sri colors exhibition booth contractor from India. We are one of leading one-stop providers for 3D Booth Fabrication Services. We coordinate with the client for his complete requirements, we design the stall and take care of all the necessities as per client’s requirement which includes electronics items, sitting arrangements, and others requirements. We serve vast clientele base by offering these services at nominal charges. 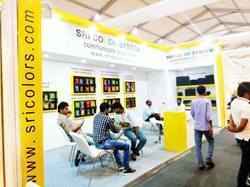 We are actively committed to offering a wide spectrum of Sri Colors Exhibition Booth Contractor. More to this, our competence to modify our services as per the changing necessities of our patrons has mustered us huge clients’ base all over the nation. Looking for “3D Booth Contractor and Fabrication Services”?